The most powerful Genesis Coupe right now is powered by a 3.8 liter V6 engine that delivers 306 HP, but things are about to change. Hyundai and Rhys Millen Racing have teamed up for their fourth year collaboration to introduce the new RM500. 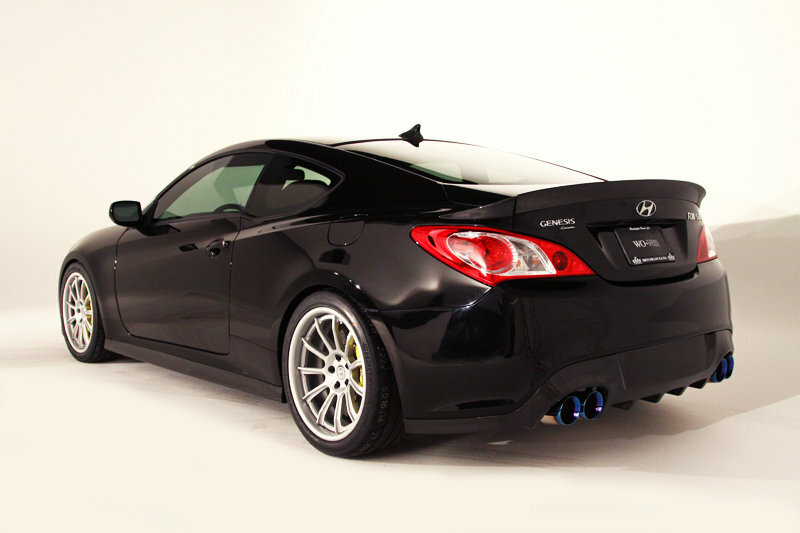 The Hyundai Genesis Coupe RM500 by Rhys Millen Racing uses Hyundai’s most powerful engine: the 5.0-liter Tau V8. This monstrous engine has been combined with a custom RMR stainless exhaust with GReddy rear section muffler, titanium tips, oil cooler, and rear differential cooler. These carefully chosen accessories team up to squeeze out an impressive 450 HP from the powerful V8 engine. Now that’s the kind of output a sports coupe like this deserves. 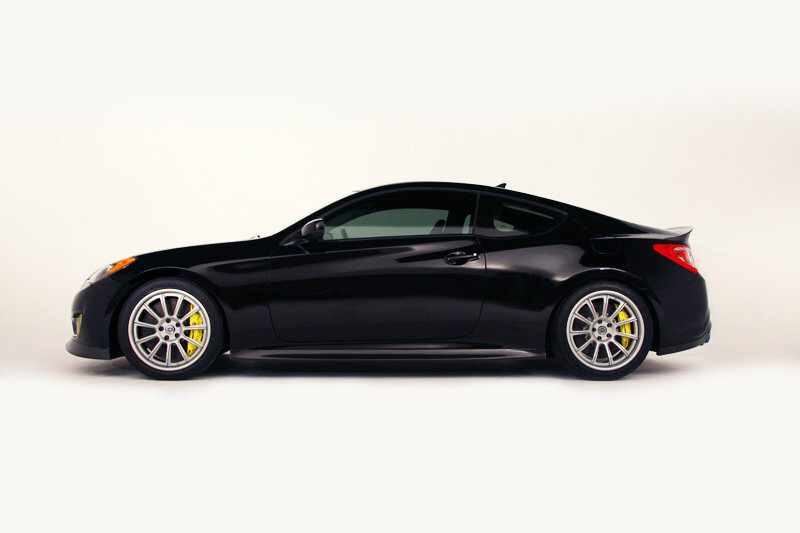 "The RMR RM500 Genesis Coupe is a natural home to showcase the performance capabilities of the powerful Tau V8 engine, available in the 2012 Genesis sedan," said Mike O’Brien, Vice President, Product and Corporate Planning, Hyundai Motor America. "Rhys Millen Racing has taken the Tau’s power and the Coupe’s tuner-friendly driving architecture to create a true show-stopper for SEMA this year." UPDATE 11/01/2011: This review has been updated with the official images and specs. UPDATE 11/01/2011: We have added live images from the 211 SEMA Auto Show. Check them out in the picture gallery! The Tau 5.0L V8 engine isn’t the only star of this show. 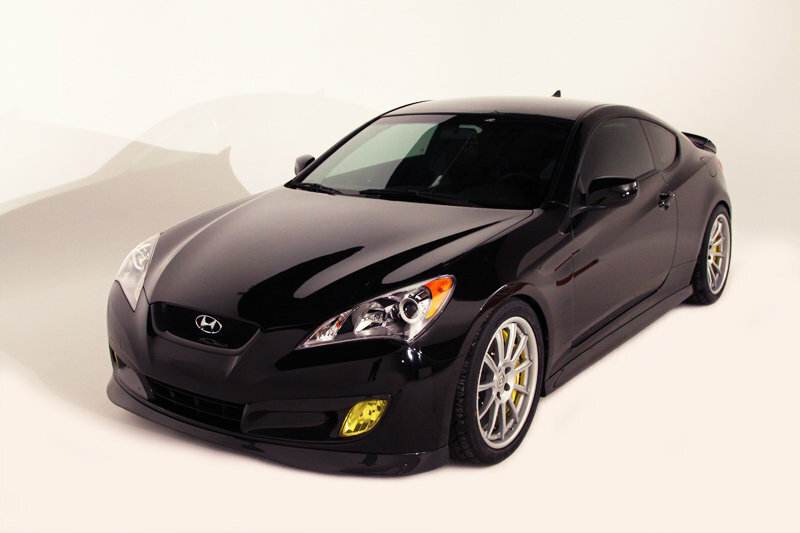 The Genesis Coupe was given add-ons from a new line of RMR products, including an RMR front lip, spoiler, rear diffuser, side skirts, fog light ducts, grill, three piece spoiler, and overlay roof, all made of carbon fiber. The Hyundai sits on a new set of HRE 793-RS 19" wheels wrapped in Hankook Ventus R-S3 tires with Brembo carbon ceramic rotors (front – 15.5-inch, rear – 15-inch) and Brembo six and four piston calipers. 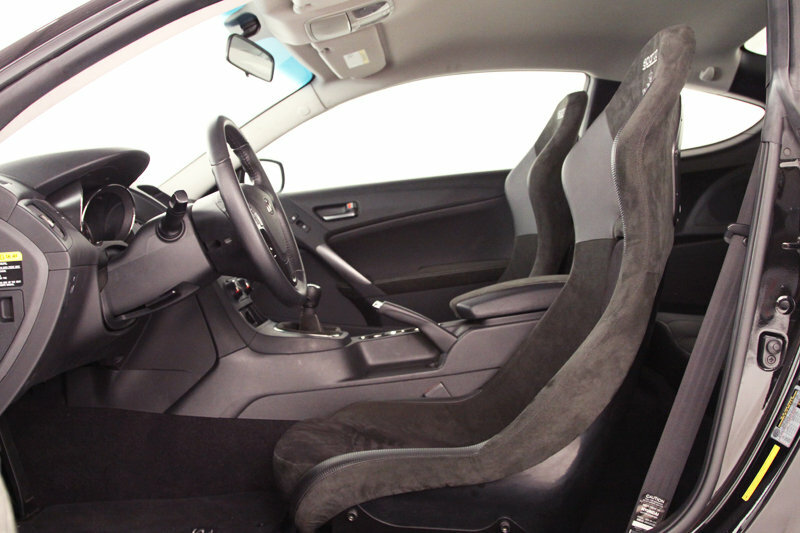 The Hyundai Genesis Coupe’s standard interior was dressed up with an RMR Interior Suede Trip Package consisting of Chrono sport seats with RMR accents, Sparco track sliders, RMR seat brackets, Sparco Tecno leather shift knob, and an RMR 1-inch Steering Column Extension. 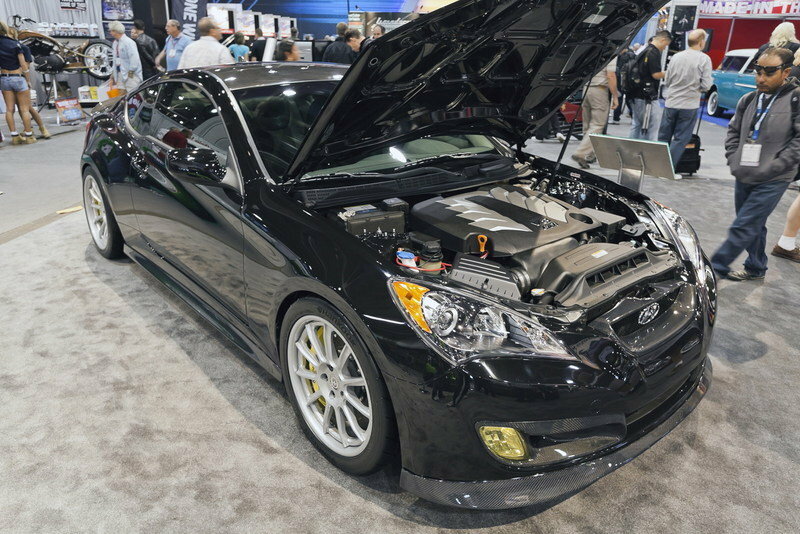 The pièce de résistance for the Hyundai Genesis Coupe RM500 is the powerful 5.0-liter Tau V8 engine hidden underneath the hood and its many modifications. RMR held nothing back with a custom stainless exhaust with Greddy SE rear section, custom adapter plate, custom light weight clutch & flywheel, K&N panel filter, and an AEM engine management system. Prepped and ready to go, this setup delivers an extra 20 HP from the V8 engine, increasing the total output to 450 HP. 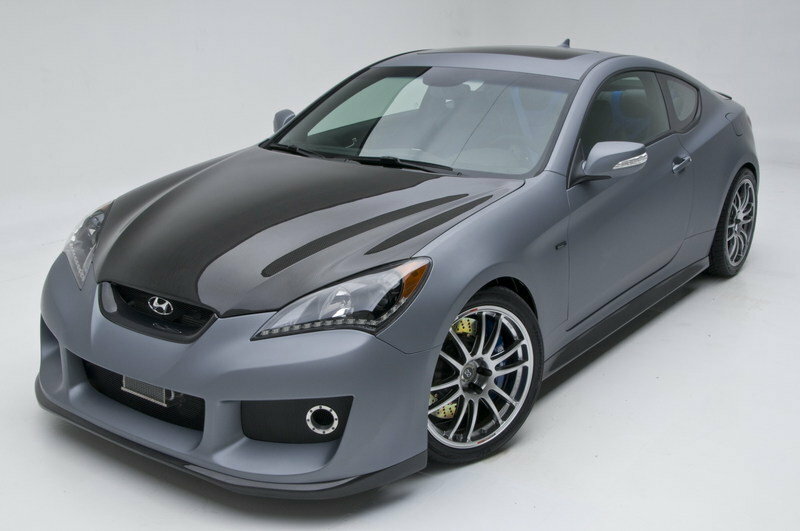 Pricing for the Hyundai Genesis Coupe RM500 by Rhys Millen Racing has not been announced yet, but full details should be released soon. Anyone looking for a competitor for the Hyundai Genesis RM500 needn’t look too far. In fact, sitting right next to the RM500 at the 2011 SEMA Auto Show is the Genesis Hurricane SC, a car developed by Magnuson Products, Rhys Millen Racing, Harman Internationa,l and Torvec Inc. 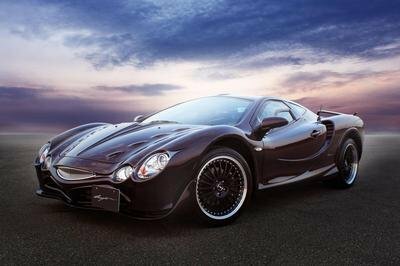 This coupe uses a 3.8 liter V-6 engine with a liquid to air intercooler for a total output of more than 450 HP. People only need to answer one question to decided which vehicle they would want in their garage: A 450 HP V8 or a 450 HP V6? 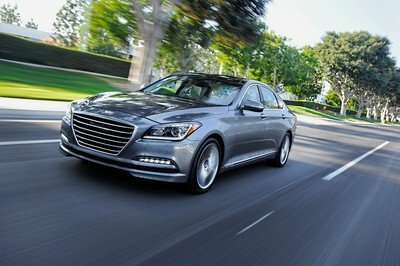 Genesis would really be a complete packaged if it also had an impressive and comfortable interior. 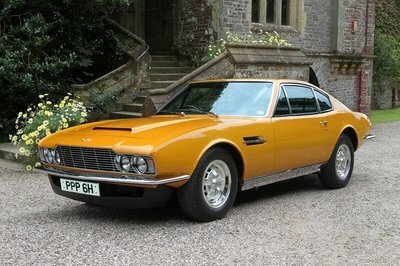 Anyway, I have to agree that it is truly so striking in its exterior appearance and with its powerful V8 engine. 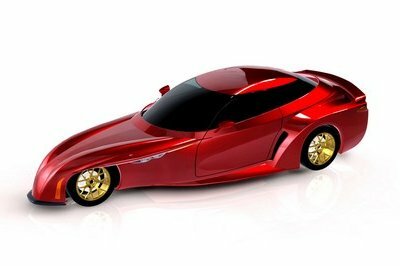 It’s the simplest Genesis that I saw today, but despite that I can say that it still looks so impressive and classy because on its sleek body paint. I’m just only wondered if what will be the interior of it, look like? Sorry to say, but I can’t see this one so impressive because the interior of it is absolutely looks very boring and for the fact that it is a race car, I am hoping that it could have a great engine specification which it doesn’t have. It almost looks like their Hurricane model, but I still can say that I’m kind of impressed with its classy exterior detailing. I just only hope that its engine is quite good enough for it. The engine specification of this one is absolutely impressive but not for a race car like this. I think they should boost it more. Anyway, I’m so satisfied on its aesthetic but very classy appearance. Well, I’m glad that they managed this one to have a striking and powerful engine. 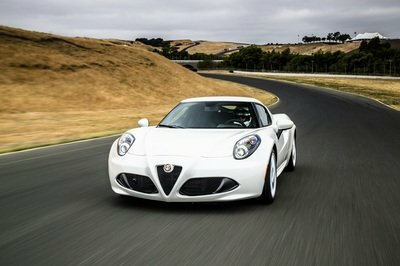 As for the looks, I can say that it is definitely very captivating, and it looks so classy on its sleek body paint. Yeah! You are right Durante Milano, that this Genesis coupe is absolutely looks so great on its exterior detailing but unlike you, I’m not so fond with its interior, for me, it looks very boring. 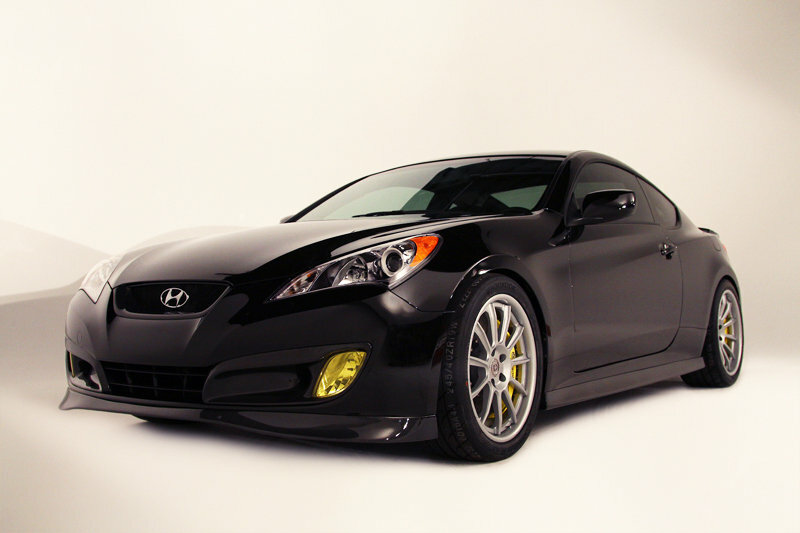 This new coupe of Hyundai Genesis is absolutely a great-looking car. I love the add-on from its fresh line, and even its interior is really impressive for this one, and I also love the fact that it had a powerful engine.